A 12-year-old from Newtown, Connecticut, is encouraging his peers to throw away their violent videogames. In the wake of the tragic mass murder at the Sandy Hook Elementary School in Newtown, Connecticut, 12-year-old Max Goldstein has pledged to throw out his violent videogames and is calling on his peers to do the same. 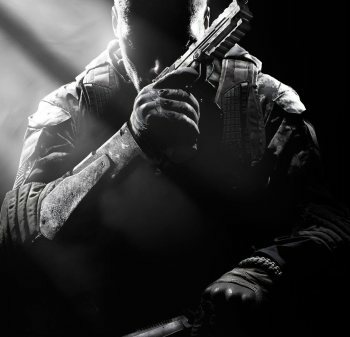 Prior to the massacre, Max was a regular Call of Duty player with the approval of his parents, who "gradually succumbed" to his desire for the game. But at the funeral of his friend's brother, Goldstein said he came to realize "how real this was," and decided that he no longer wanted to kill, even within the fantasy confines of videogames. To encourage others to take part, Goldstein has launched the "Played Out" movement, with the slogan, "Choose not to play." With the help of his stepfather, he's putting a dumpster outside the Newtown Youth Academy where kids can toss their violent games for later destruction. He announced the program to "hearty applause" at a meeting of the newly-formed Newtown United group, which discussed, among other things, "how to increase the size of the group and get its message out." Goldstein isn't the first person to have this idea: In 2009, a group calling itself Aktionbundnis Amoklauf Winnenden called on people to turn in their violent videogames in the wake of the Winnenden massacre in Germany. That effort ended in abject failure.